Another week has gone. Now is the time for my third weekly breakdown of my top articles for the week after the success those of 11 and 18 April. Also, there is a little additional question at the end for you to ponder on. Anyway, here goes my list for 25 April. NOTE: The "On Here" list is purely quantitative. It is the posts with the most unique reads that week (not including other Top 5 lists). This week is filled with a majority of new entries. The top two are newly published articles for this week. One is a new purchase in the advertising giant, WPP. The other is on my thoughts on the UK student loan. The Third, however, was first published in November 2014 but has continued to be popular throughout especially with occsaional updates on my progress I have included. The final two were also on the list last week including the acquisition of Catlin and my rapidly evolving retirement "plans". Hope you enjoy them all! New: BUY: WPP--An Advertisement in Growth and Income? NOTE: The "Over There" nothing like the "On Here" list. It is qualitative through and through and is simply chosen by me from what I read (and mostly commented on) during the week. It is not really a ranking but a motley bag of (excellent) items. So what about articles published elsewhere. Here is a little list of what caught my eye. From Einstein-inspired FI musings to hard-nosed practical thoughts on how best to live tax efficiently with FI. And from the place of hobbies in your expenses to a forthcoming UK FI meet-up date in York! Also special mention should go to Dividend Life and his recent post on the launch of his new dedicated home for his UK Dividend Champions list. "Where is that new dedicated home?" I hear your demand. Well, it is over at DividendChampions.uk. There is also a little additional post on the site itself listed below. If you're investing in UK companies and have not taken a look at this list I advise you do so now. It is invaluable. Finally, let us close with a quick question about this Top 5. You may have noticed I have failed miserably t keep the "Over there" posts to only five. Should i embrace this fact and turn the whole list to a Top 10 weekly list? Thanks. I thought the dividend champion list was especially interesting. We could do with a bit more of a dividend investing culture in the UK I think. es, it is very good. It takes a lot of work to put it together. Hopefully Dividend Life's efforts will see a noticeable increase in interest in UK dividend champions. I don't see how it can't! 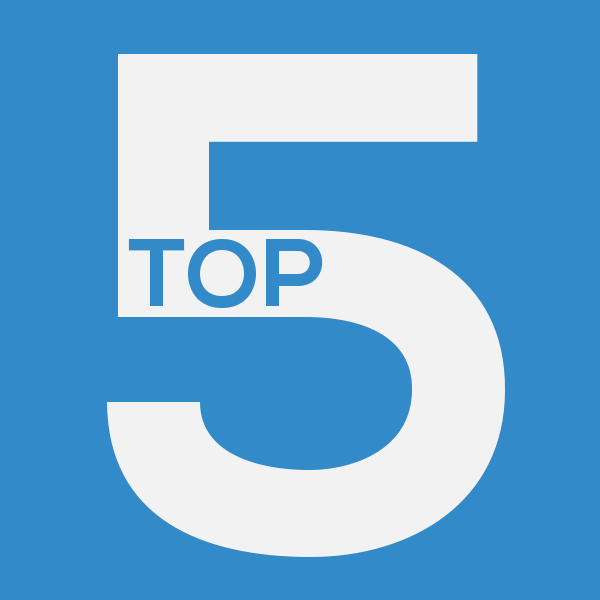 5 is tough, since you have shown this week that there are lots of great posts to read out there. Would 10 even be enough? What if in a 'lean' week you don't get 10, or even 5? Maybe, you don't put a number on your list - it's just a 'best of the rest' or something like that? Whatever it's called, thanks for compiling it anyway! My pleasure, weenie. Glad that it seems that so many people find it of interest. I know what you mean. There were many more I wanted to add as well. But I thought I had better keep the list under control! I may leave it at 5 but continue my frankly slack observance of it! I quite like having a number in the title. Maybe Top "5" or Top 5(ish) would be more appropriate! Haha. Thank you for including a link to my DividendChampions.uk site - that's very kind of you! I've just (as of 5 mins ago) added the full dividend history that I have for each company to the site - I show the declared amount from the company and also the adjusted amount which accommodates splits and exchange rates. An article I found interesting this week was about someone giving up the dividend income plan. My pleasure! Thanks for compiling the list! As I say, it takes a lot of work to put together I know from my brief flirtation with the idea! I will go and have a look at that article. Looks interesting. There have been a few articles along those lines recently which problematise some of the beliefs behind dividend investing. They are very interesting. Though how convincing the argument is is up to you. I will report back when I have read it. I quite enjoy putting the list together. I hope it will be useful to go through in the future as well. We will see. I suspect that your reputation article will be on next week's as well! Thanks for that link, DL - a very interesting post, with some interesting comments too! Well I like 5 because then I can count them on one hand! But why not a different number, like 8? The higher the number though the more diluted and less useful it becomes, so perhaps look at different categories if you want to include more links. Roadmap2Retire has a similar concept on his site so take a look if you've not seen it and it might give you some ideas too. Haha, I hid it away. Originally, it was at the start of the post but it got relegated! That is actually not a bad idea. Top 8! I will have a ponder. I had thought about breaking down the list a bit more. We will see! I have not seen Roadmap2Retire's posts before. That is one very well edited list indeed. Very nice. I will have a think over the next couple of weeks and tweak as I go along. Learn as you go! Thanks for your ideas and links.